Korean History is amongst the longest in the world, dating back to pre-historic times. We will now focus on the period following the first states established on the Korean peninsula. In the areas of the slave owning Kingdoms, many feudal powers emerged out of which the strongest dominated. The strongest kingdoms were The Three Kingdoms; Koguryo (Goguryeo), Paekje (Baekje) and Silla. 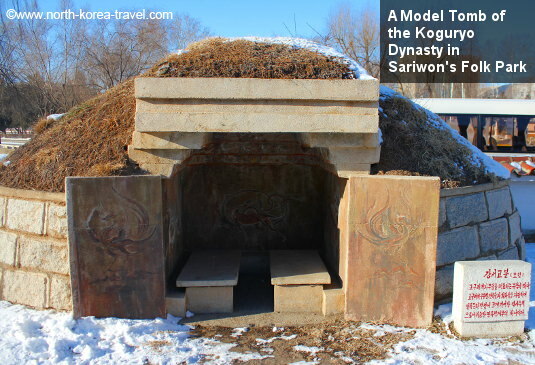 Koguryo (Goguryeo) was the first to be established as well as the largest and most powerful. Founded in 37 BC, it was the first kingdom in Korea to embrace Buddhism as the state religion in the 4th century AD. Koguryo was at its peak in the 5th century when it had expanded to most of Manchuria, parts of Inner Mongolia and extended all the way south of the Korean peninsula, substantially reducing the territories of the other two Korean kingdoms. In 598 Koguryo defeated large troops of invading Chinese troops in the Koguryo-Sui war. Repeated wars with China eventually weakened Koguryo and it fell in 668 after allied Tang Chinese and Silla forces took over. Paekje (Baekje) was founded in 18 BC. It expanded into the southwest of the Korean peninsula, becoming an important military and political power. While expanding its territories, Paekje was in contact with southern dynasties, absorbing aspects of Chinese culture and technology which it in turn passed on to Japan where the general court retreated after having been conquered by the Silla - Chinese Tang dynasty forces. Silla - initially strongly influenced by Japan and Paekje, Silla was located on the southeast area of the Korean peninsula. Tools such as gold medal work shows that Silla was less influenced by China than Paekde and Koguryo. In the 2nd century AD it had increased its influence in neigbouring regions often allying and fighting the other 2 predominant kingdoms. In 661 AD, together with Tang Dynasty forces, Silla managed to conquer Paekju. It then tried to conquer Koguryo, initially failing but succeeding in 668 AD. Please click here to see other periods of Korean History.